Group of 4 assorted 14K vintage pins. 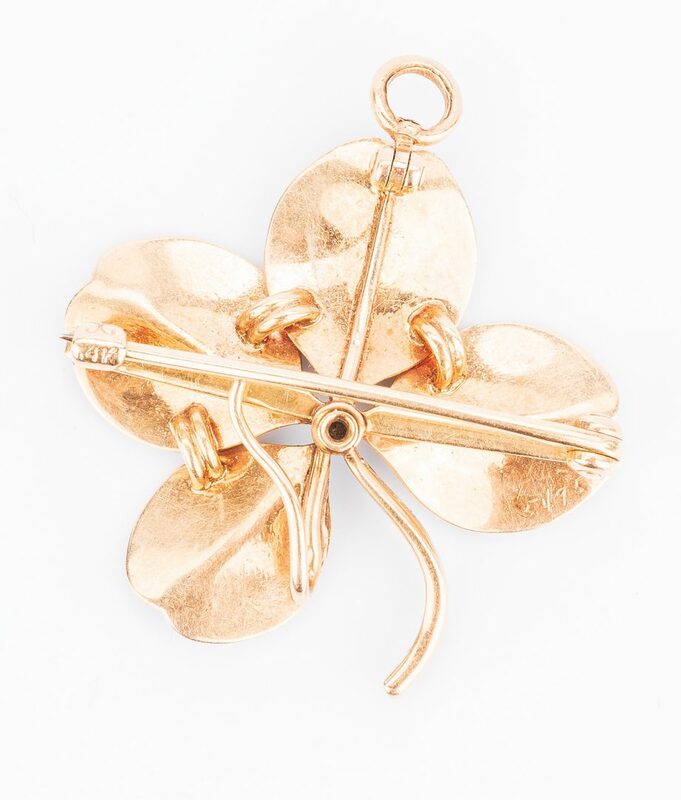 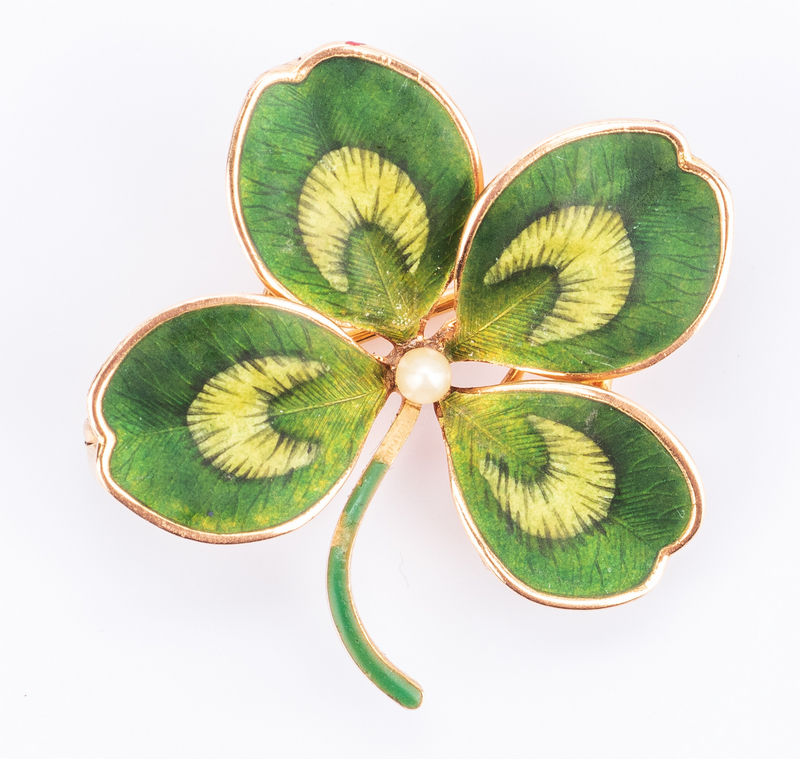 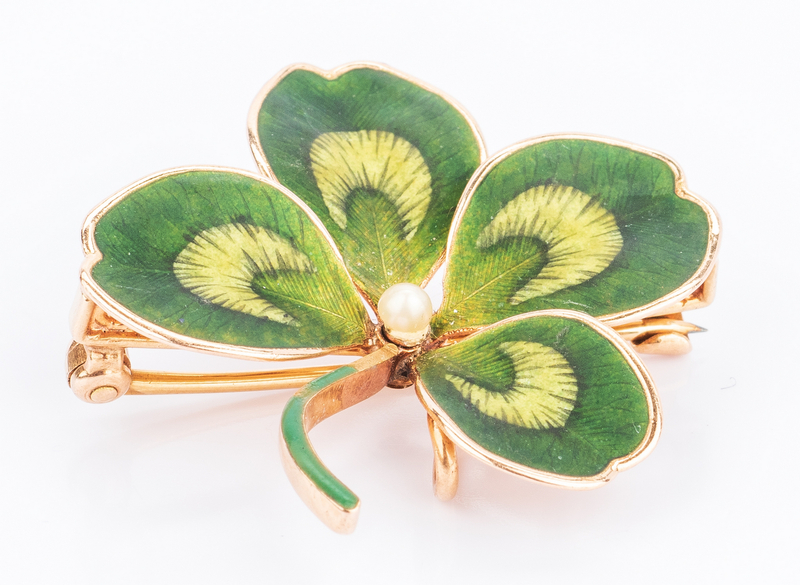 1st item: 14K hand-painted shamrock pin/pendant/slide, 1 1/8" x 1 1/8", possibly French, 6.3 grams. 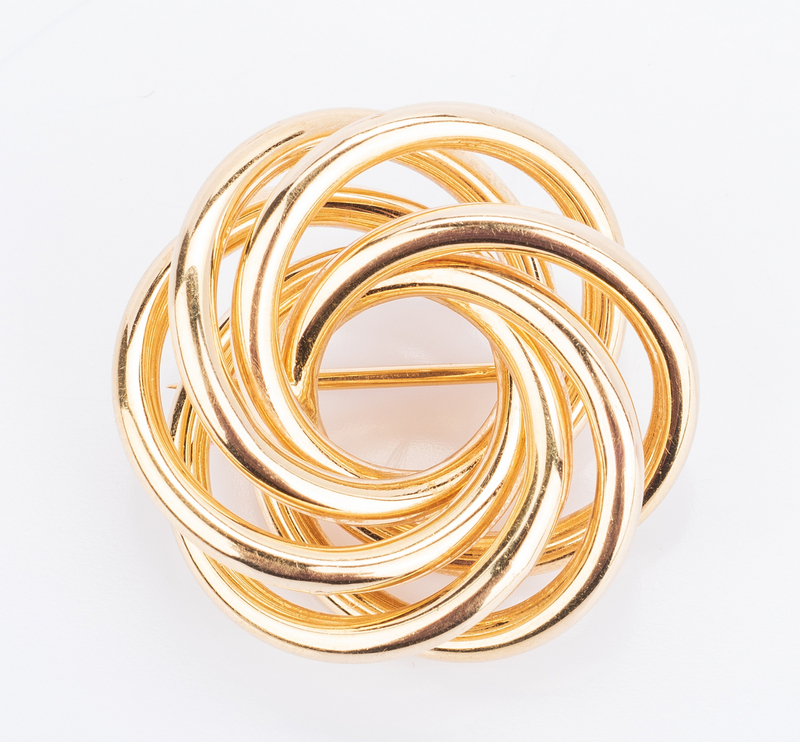 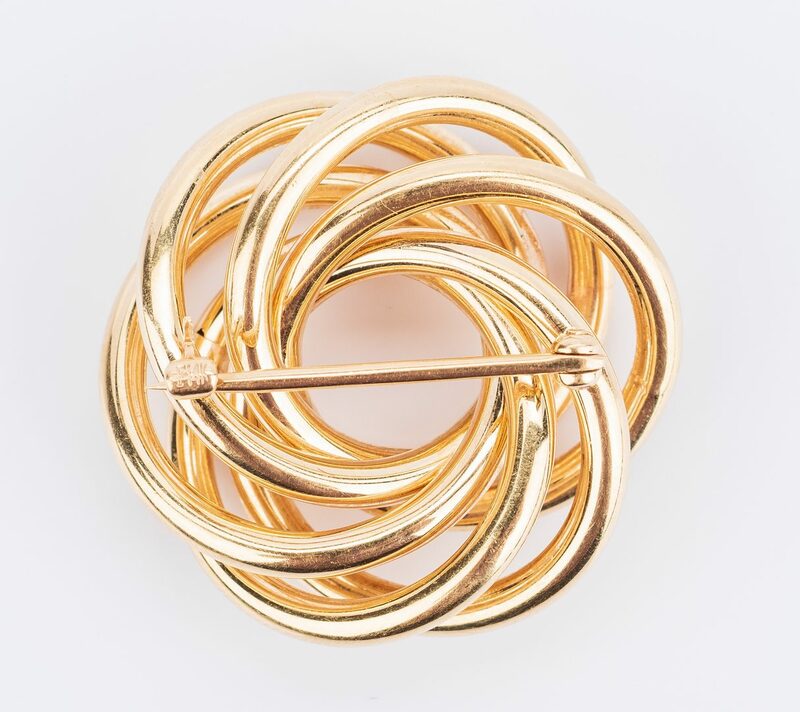 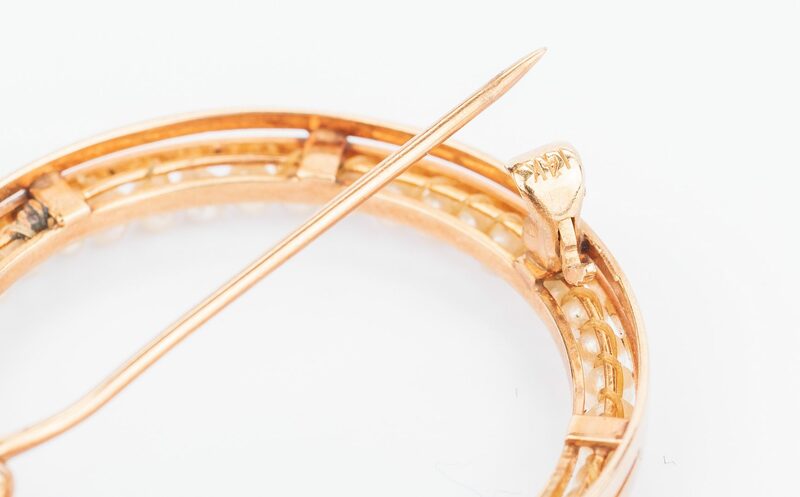 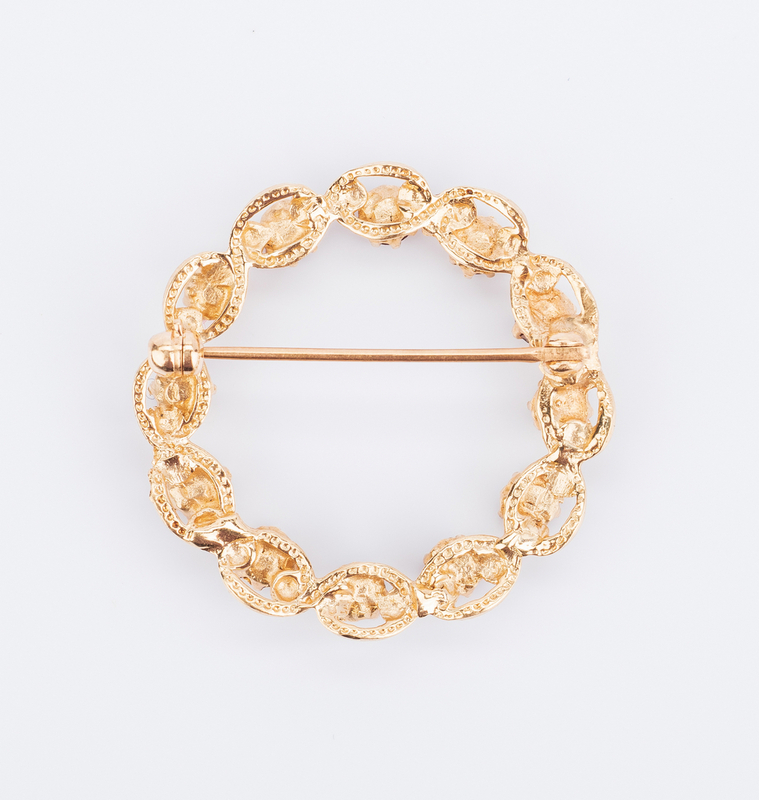 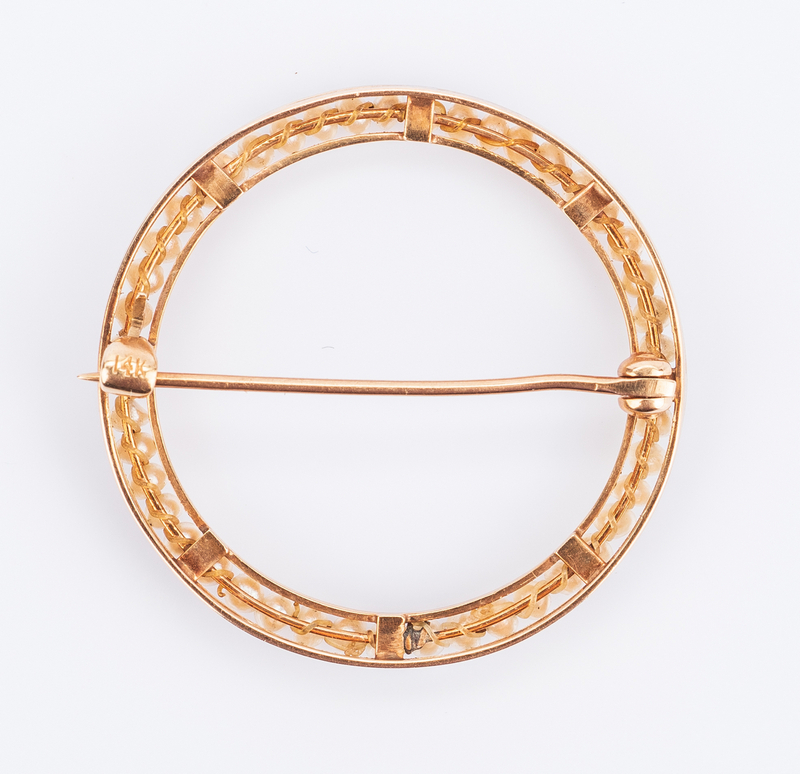 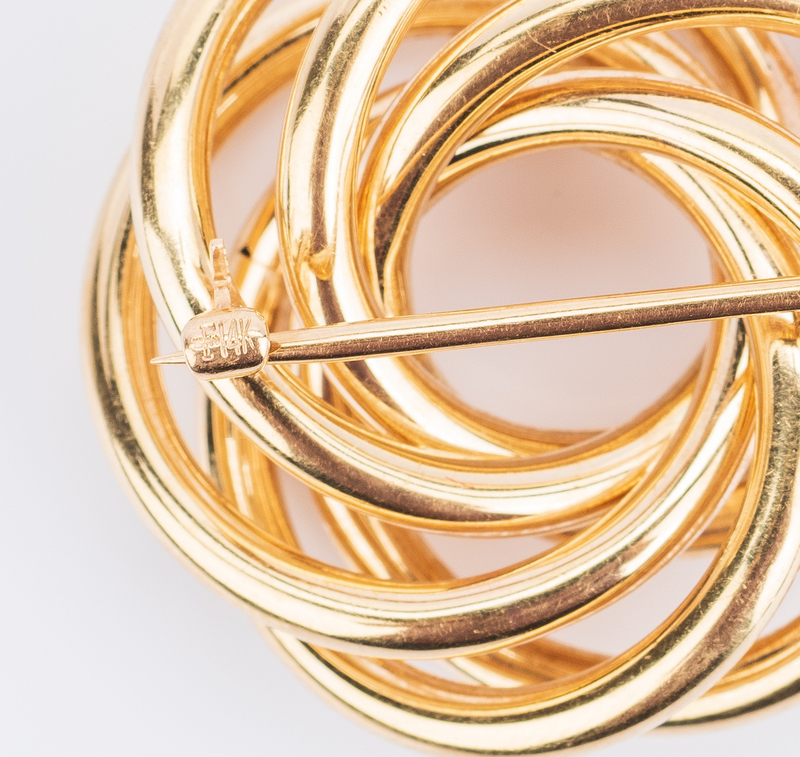 2nd item: 14K swirl circle pin, 1 1/4" dia. 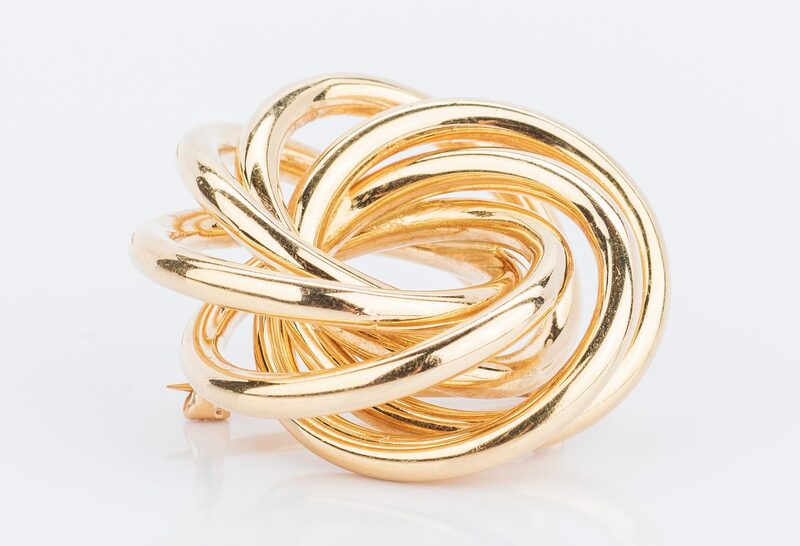 x 1/2" D, 12.8 grams. 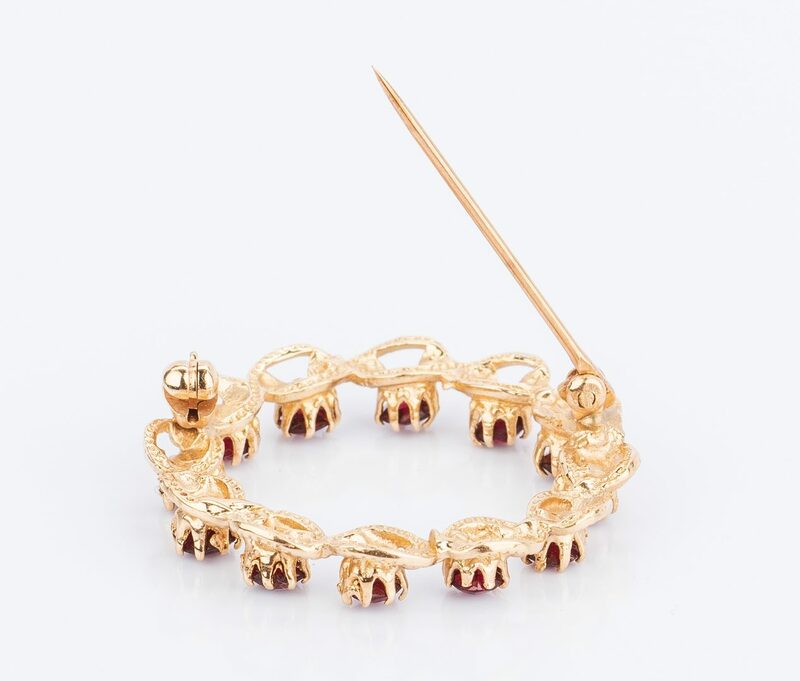 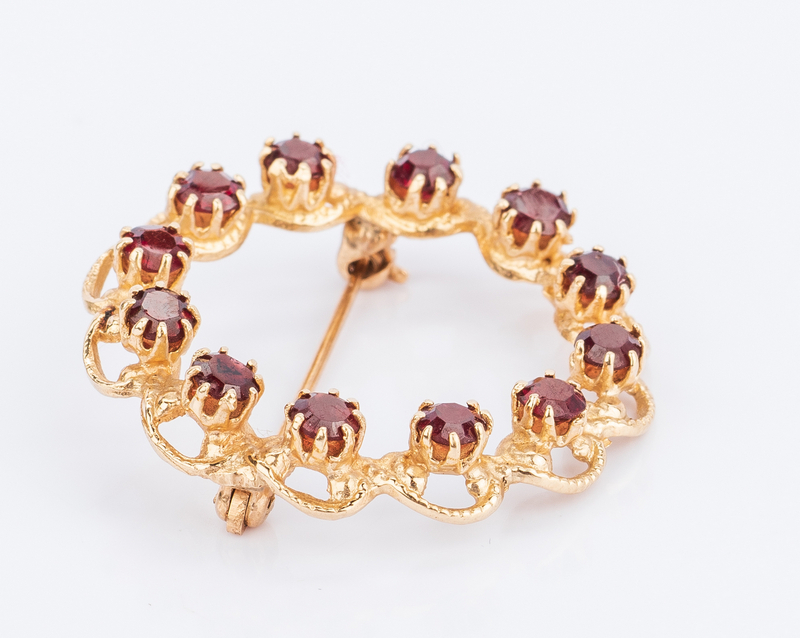 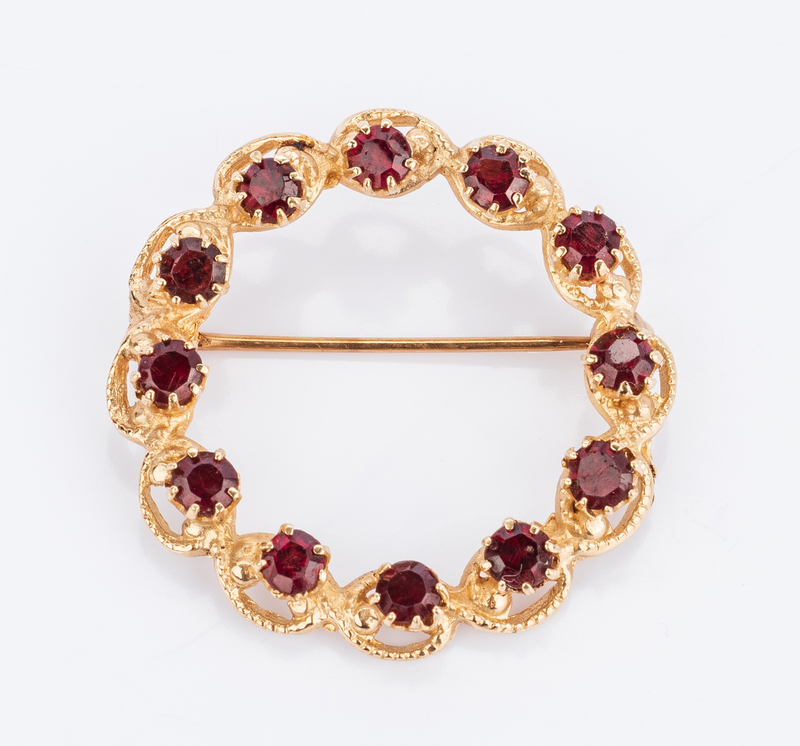 3rd item: 14K (tested) satin finish circle garnet pin, 1 1/8" dia., 4.5 grams. 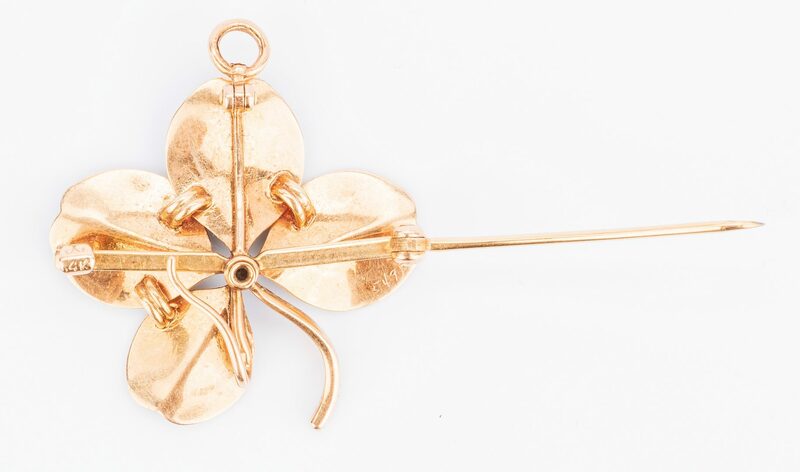 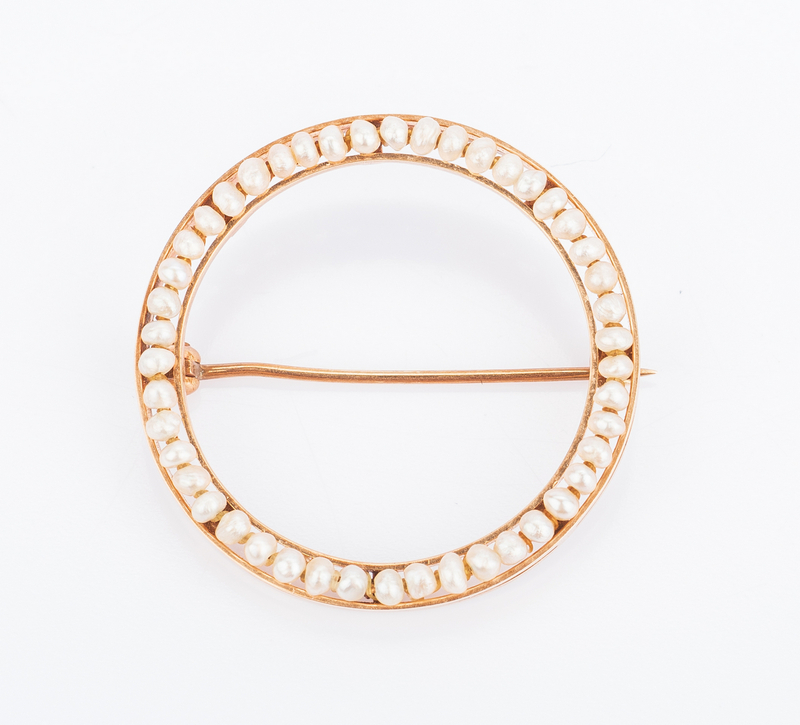 4th item: 14K seed pearl circle pin, 1" dia., 2.3 grams. Provenance: A Knoxville, Tennessee estate. 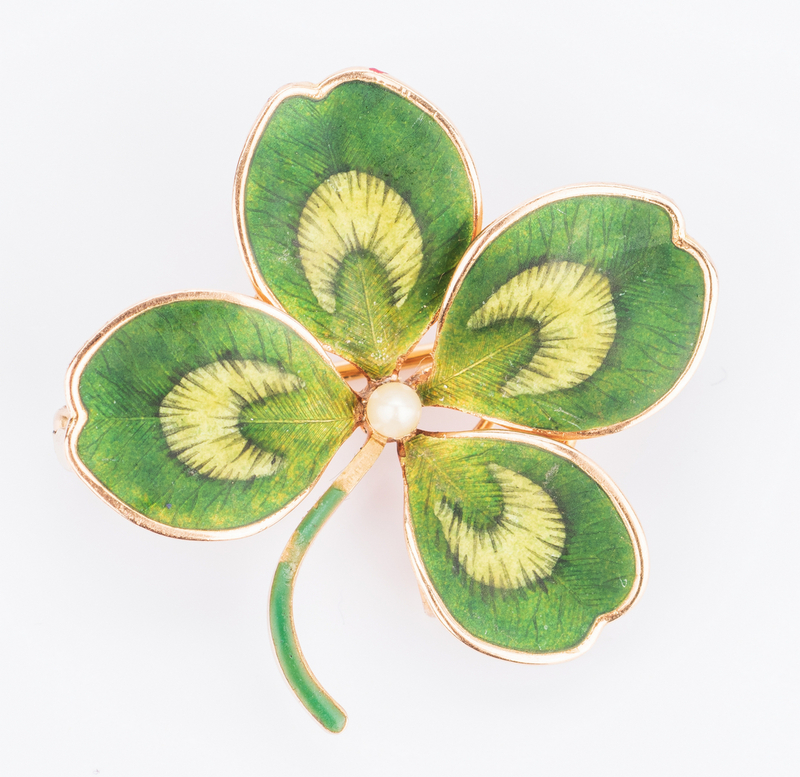 CONDITION: Minor loss of paint decoration to stem of shamrock. 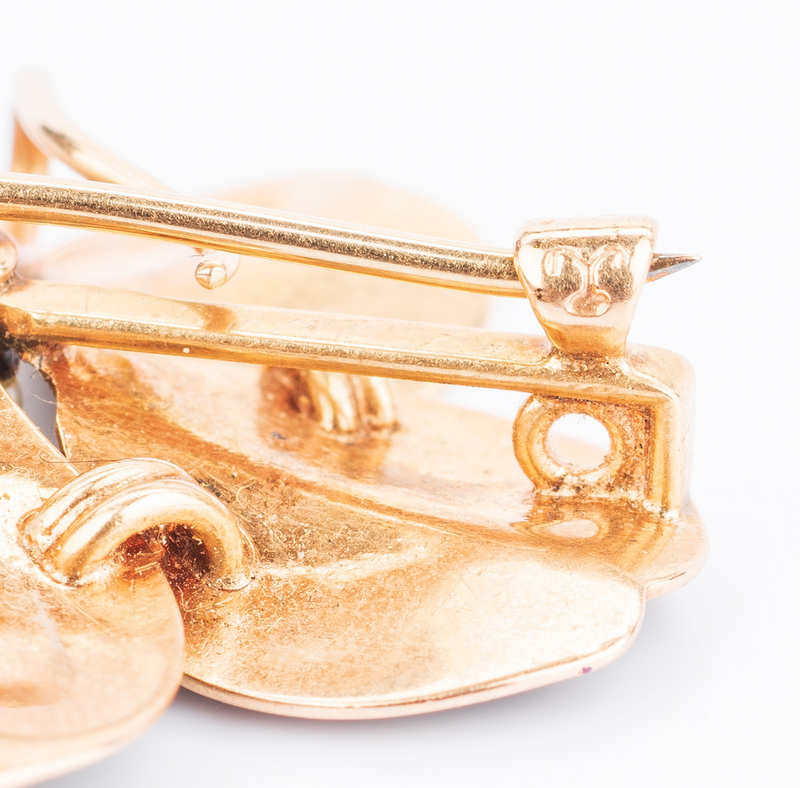 Other pins in very good condition with minor wear.